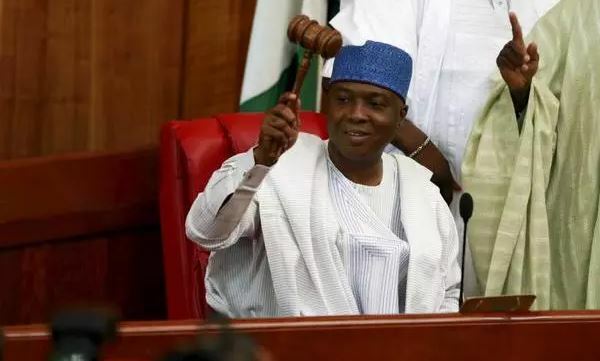 Senator Rafiu Adebayo Ibrahim (PDP-Kwara South), has alleged that lawmakers under the aegis of Parliamentary Support Group, were given $1m each to impeach Senate President Bukola Saraki and his Deputy, Ike Ekweremadu. The lawmaker said this on Tuesday in an interview with reporters at the National Assembly. His allegations could, however, not be independently verified, as none of the leading members of the Parliamentary Support Group for Muhammadu Buhari could be reached for comments. Calls to the mobile telephone numbers of Senators Ovie Omo-Agege and Ali Ndume who are vocal members of the PSG were neither picked nor returned. A response to a text message sent to them was still being expected as at the time of filing this report Ibrahim, who is a member of the pro-Saraki group of Senators, also protested the invasion of the National Assembly by officers of the Department of State Services and the Police. He said: "I can authoritatively tell you that those senators behind the desecration of the National Assembly collected $1m each to impeach the Senate President and his Deputy. You can quote me anywhere on this." A prominent member of the Pro-Saraki group, Senator Dino Melaye (PDP-Kogi West) also accused the National Chairman of the All Progressives Congress, Adams Oshiomhole, of collecting signatures of lawmakers with the aim of effecting a leadership change in the Senate. Melaye, while briefing his colleagues on the alleged plot by members of the PSG, said, " The chairman of APC is currently meeting with some APC Senators. "As I speak, we understand he is collecting signatures for the Senate President's impeachment. "We also understand that after collecting the signatures, they will be proceeding to the National Assembly to carry out their plan. "We are waiting for them," the lawmaker added.